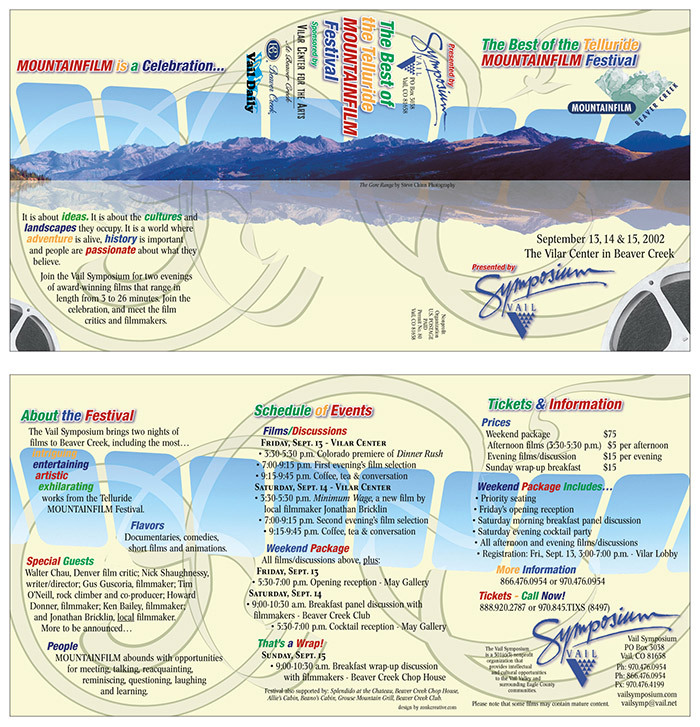 Caption Brochure for film festival. Folds in thirds. Top: front cover, self-mailer panel and introduction. Bottom: event details.